About 7,000 firefighters from across North America responded to a survey on mental health. 7,000 firefighters from across North America responded to a survey on mental health. Nearly all report they’ve had stressful or traumatic experiences on the job 3 out of 4 of them say they are left with unresolved issues. The International Association of Fire Fighters conducted the survey with NBC stations and says it highlights a critical need. First responders are known for being tough and brave and as we’ve seen in Parkland over the past few weeks – they’re also human. “We have to remind ourselves at the end of the day we did the best we could, we helped who we could,” said Lt. Frank Pekora, one of the first firefighter paramedics who responded to Marjory Stoneman Douglas High School on February 14. Numerous police and fire officials rushed to the scene of the mass shooting before it was secure and rushed injured students to the hospital. According to a new NBC News survey, when any emergency is over, first responders need to do a better job focusing on themselves. NBC News stations teamed up with the International Association of Firefighters for a confidential mental health survey. More than 7,000 firefighters responded from across North America. The survey was done before the Parkland tragedy. The results show almost all firefighters experience stress on the job and three quarters are left with unresolved issues. Lt. Pekora says he was training at a fire station near the school when he received the call to respond. He rushed the first patient to the hospital. The survey shows a majority of firefighters don’t ask for help out of fear it will make them appear weak or unfit for duty. “What this study does is really bring home the numbers that we already knew were out there, that firefighters are suffering from PTSD and other behavioral health disorders,” says Brinkley. “And more importantly, there’s a stigma attached to seeking help." 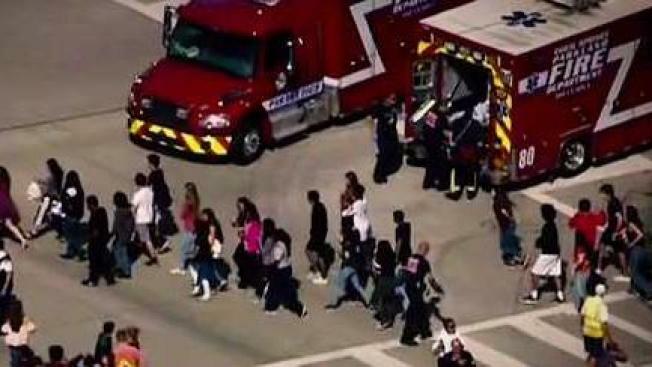 Parkland’s first responders were offered counseling to help them cope with what they experienced. Many said, they took advantage of the service. In South Florida, there is help available for first responders who need assistance processing what they experience on a daily basis. A nonprofit called Headstrong Heroes gives peer-to-peer counseling and other services. It was formed four years ago after two firefighters committed suicide. For more information, click here. The International Association of Firefighters also offers mental health resources.